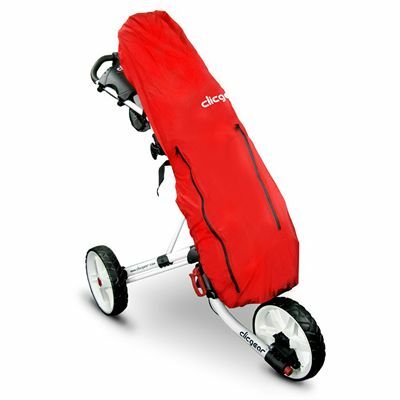 The Clicgear golf bag rain cover is designed to keep your bag dry in wet weather and quickly installs with two clip on adjustable nylon straps that secure it to any golf bag or push cart. 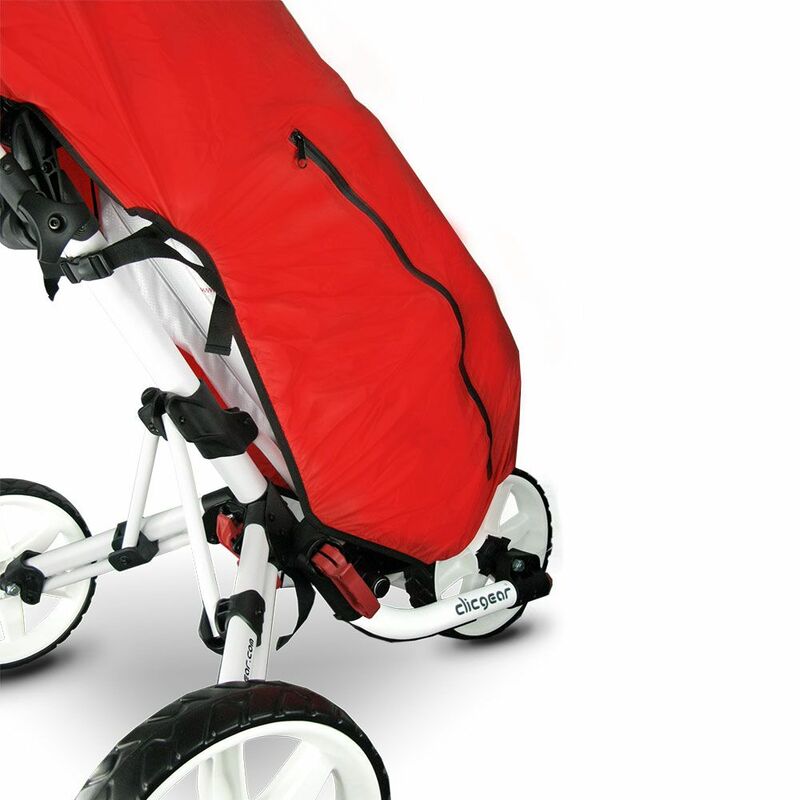 It is made from double lightweight waterproof nylon and has water resistant zippers. The cover fits the Clicgear Carts Model 1.0, Model 2.0, Model 3.0 and Model 3.5 Plus and all models of Clicgear B3 bags. for submitting product information about Clicgear Golf Bag Rain Cover We aim to answer all questions within 2-3 days. 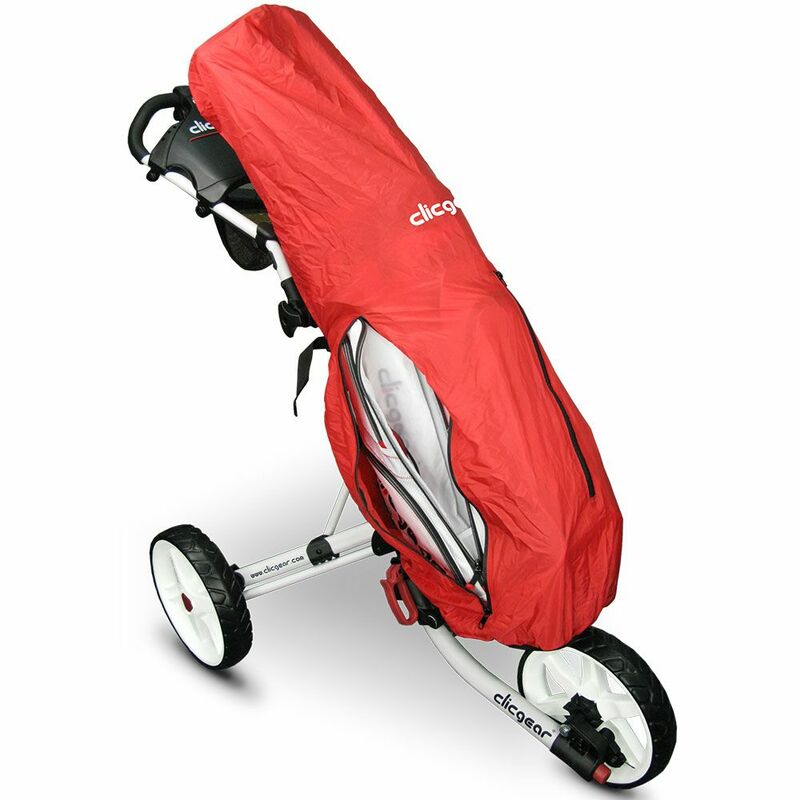 for submitting product information about Clicgear Golf Bag Rain Cover. We aim to answer all questions within 2-3 days. If you provided your name and email address, we will email you as soon as the answer is published. Does it fit Clicgear Rov1c trolley? The cover fits the Clicgear Carts Model 1.0, Model 2.0, Model 3.0 and Model 3.5 Plus and all models of Clicgear B3 bags. Used only once and seemed fit for purpose. Easy to fit and good quality. Also easy to access your clubs. Really pleased with this. for submitting product review about Clicgear Golf Bag Rain Cover.